One of the success stories of this generation is how Rocket League came out of nowhere and completely took the video game community by storm. It being a free PlayStation Plus game right away certainly helped, but it was the continued support from its developer, Psyonix, that helped sustain the game for years after its release. Now Jeremy Dunham, Vice President of Marketing for Psyonix, announced via the PlayStation Blog that full cross-platform play for Rocket League is currently live in beta form. You can try it immediately. That’s right, you can score goals in your Rocket-Powered Battle-Cars against (or with) players across PS4, PC, Xbox One, and Nintendo Switch, regardless of which platform you’re on. You can randomly find players on other platforms via the Matchmaking system and it includes all match types, from Casual, to Competitive, and Extra Modes. Additionally, Psyonix will be releasing a cross-platform party system, allowing you to pair up with friends on any platform. This will release at a later time and the studio will have more information to share soon. There is a way to party-up with players across platforms before this rolls out by going into Private matches. However, to do so publicly, you’ll have to wait for the update. We’ll let you know when we find out more details about that. Along with Fortnite, Rocket League has been one of the leading console games to introduce cross-platform functionality, hopefully setting a precedent for future games to come. It’s amazing to see how far things have come in this regard and we can stay optimistic that most (if not all) games will feature cross-play in the future. It’s a great time to be a gamer. 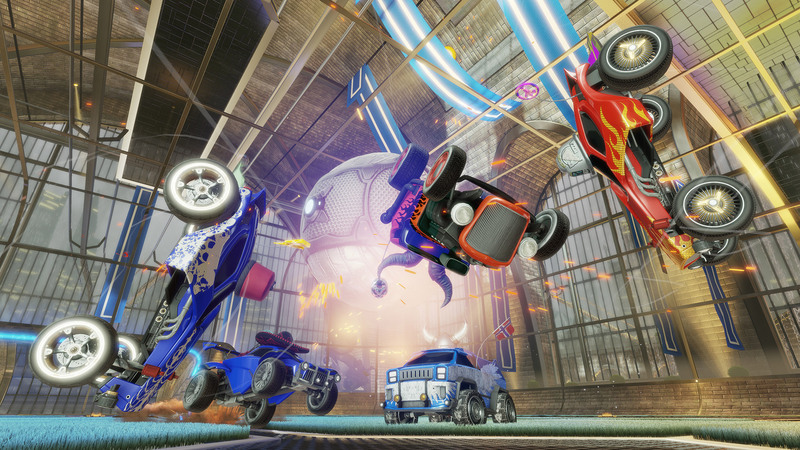 Will you be trying out the cross-platform features in Rocket League? Let us know what you think!